Fluid Engineering (FE) includes all the benefits of the WSCAD Electrical Engineering software, supplemented by special fluid functions. The planning and documentation of pneumatic and hydraulic machines and plants is performed with the aid of Fluid Engineering. 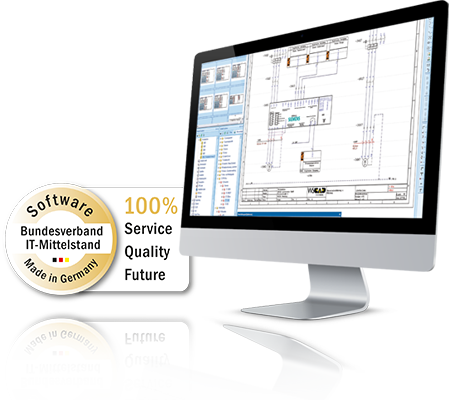 Designers, developers, maintenance engineers and maintenance service companies thus have a comprehensive set of fast, intuitive and efficient tools for the integrated planning and documentation of all mechatronic tasks at hand.